1.) Today is Opening Day! Matthew and Gus got up at 6 am this morning so they could watch the Red Sox-Athletics game, which was played in Japan. Matsuzaka started, came out throwing 125 mph all over the place, but then settled down and the Red Sox eventually won. Phillies open at home on Monday against the Nationals. After a shaky start, everything's suddenly come together (even Adam "Get's B" Eaton has pitched well! ), so now we're back on track to win the division and go to the World Series. Maybe my friend Pat Burrell will be the annual MVP from the Phillies this year! 2.) Gus's community baseball team assignment came the other day. He's on THE RED SOX. Yes, the mighty GYAC Red Sox, along with four other kids from his class at school. The only thing better, of course, would be the mighty GYAC PHILLIES, but at least he's not on the GYAC Yankees. 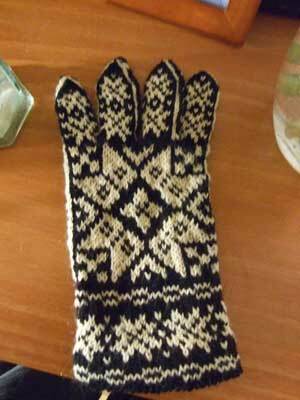 When I saw Annemor #10, they were the ones I thought were the closest to the Little Women gloves, so I decided to take the plunge and off I went. I still love this book A LOT, but there are many moments when the directions kind of fling you off a cliff and expect you to find your footing. As an experienced knitter I appreciate that faith, but there are some places where my intuition can't make the leap. 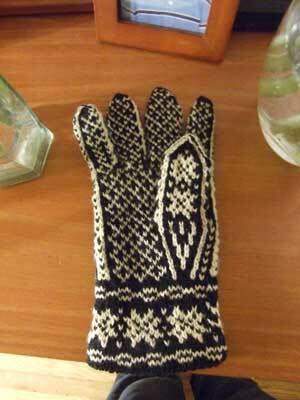 The charts for the fingers didn't match the pattern or the photograph of the finished glove. I had to appeal to another Annemor #10 veteran on Ravelry, Pam/aka Northstar, who very kindly and quickly emailed me back that she had cast on extra stitches to make it turn out okay. Which I did. Also, there was only one row of ribbing at the cuff, so of course it flipped up madly and I had to pick up stitches and knit a hem to make it lie flat. I like it hemmed better anyway, since it makes the glove more substantial and finished. 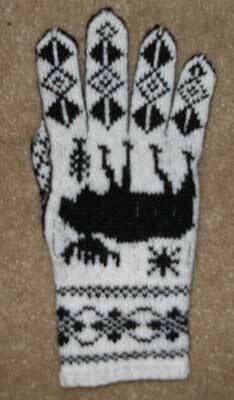 I finished one glove, and I love it more than anything I've ever knit. But I need to take a little break before plunging into the second one. 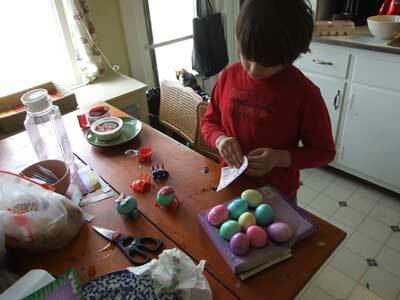 It wasn't difficult, but it required a lot of mental exertion. Ta da! Can we order World Series tickets now? I'd like to have them down the third base line, where I can watch MVP Burrell perform his left field wonders, with MVP runner-up Pedro Feliz doing his thing at third base. I thought of you and was mentally wishing you a happy opening day. 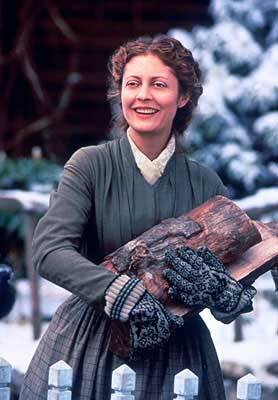 I have also gone back through your posts and am each time more and more awed by your knitting prowess! I still struggle with the socks.